/ Modified jul 28, 2015 1:50 p.m. Deaths from a Monday traffic accident pushed Tucson’s 2015 road fatality total beyond twice the number from the same period last year. 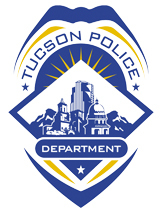 Tucson police reported the city recorded 16 fatalities on its streets and highways as of July 27, of 2014. The four deaths Monday pushed the 2015 total to 37. Sergeant Pete Dugan said the higher tally is partially due to more multi-fatality collisions in 2015 than the previous year. Other year-to-date road fatality numbers are similar to last year’s, including pedestrian and bicycle deaths. Four passengers died in a single-car crash at East 6th Street and Country Club Road early Monday morning. Martin Verdugo,26, Sheyla Velarde, 28, and Alexandria Lara, 25, were killed when the car’s driver lost control and crashed into a tree. Lara’s unborn child is counted among the fatalities.